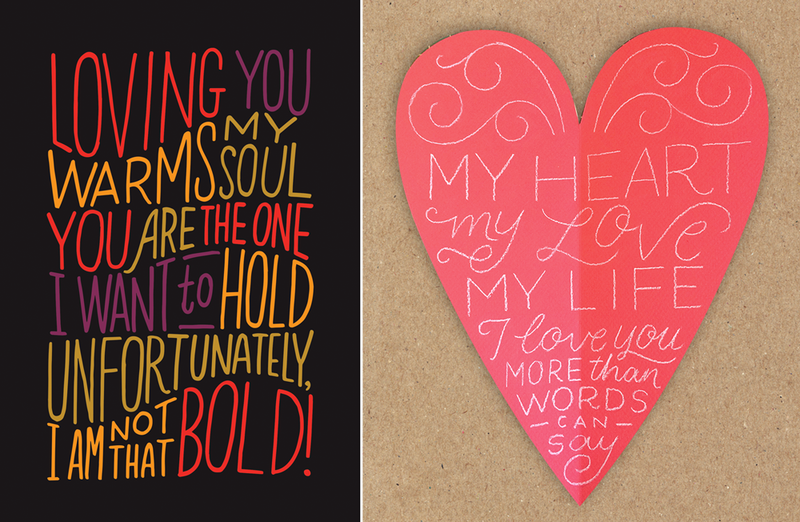 I spent February 13 & 14 with five other illustrators, typographers, and an account team creating Valentines on demand! 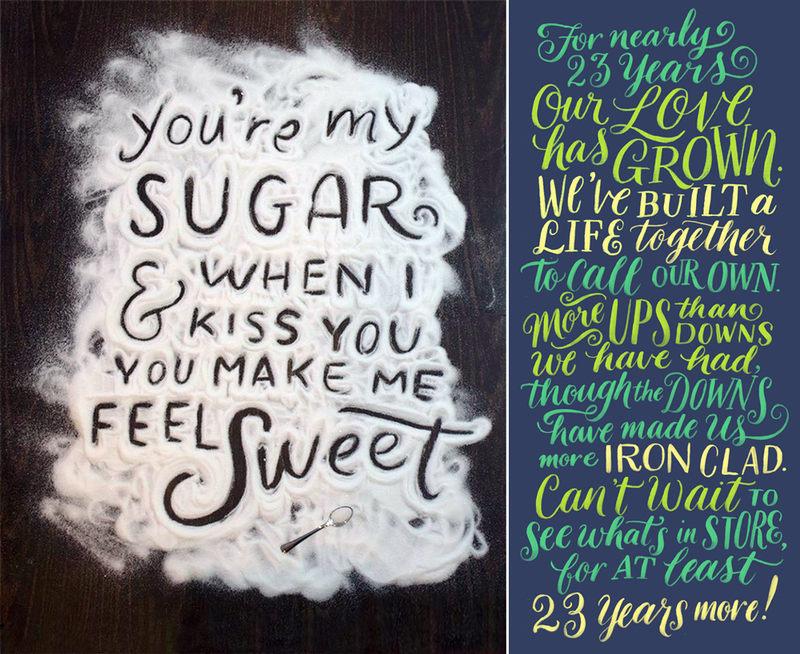 Coffee-Mate fans submitted messages through Facebook & Twitter, and we had 30-60 minutes to make something entirely custom before pushing it back to the internet. They had every supply on hand, and the sky was the limit -- I poured sugar on the floor, made dioramas, and drew so many letters! It was an incredibly fun & invigorating two days.